My first helicopter ride. 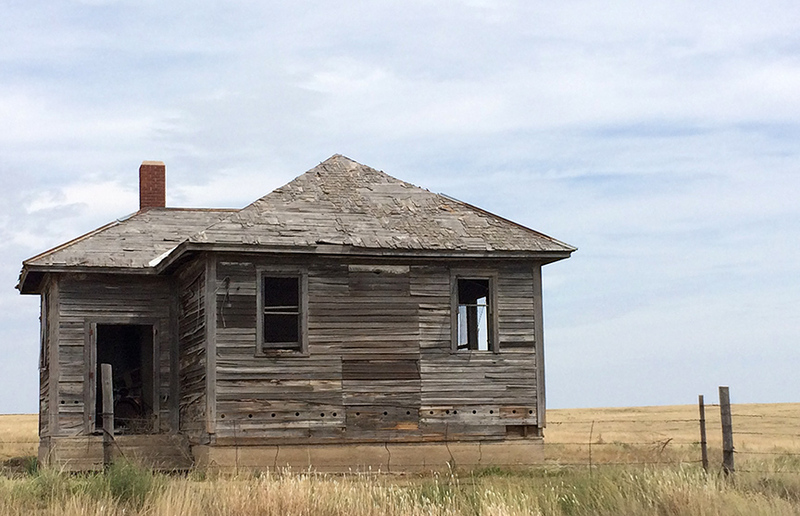 Hoisington, Kansas. 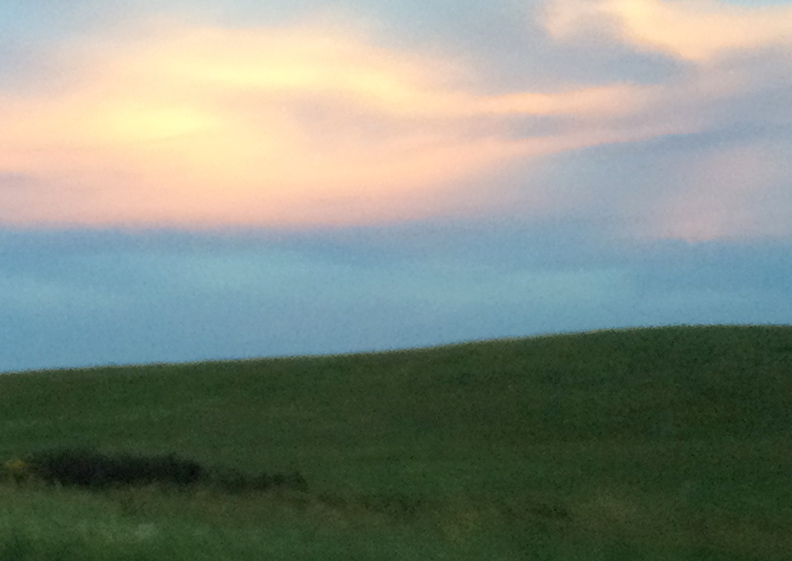 This through-the-windshield iPhone shot taken somewhere between Junction City and Lawrence, on the eastern edge of the Flint Hills, is so out of focus that it has an impressionistic quality. Day 13: Colby to Lawrence. My destination for today was Lawrence, Kansas. From there it would be a quick drive to Kansas City on Sunday. Knowing I had plenty of time, I took back roads much of the day. 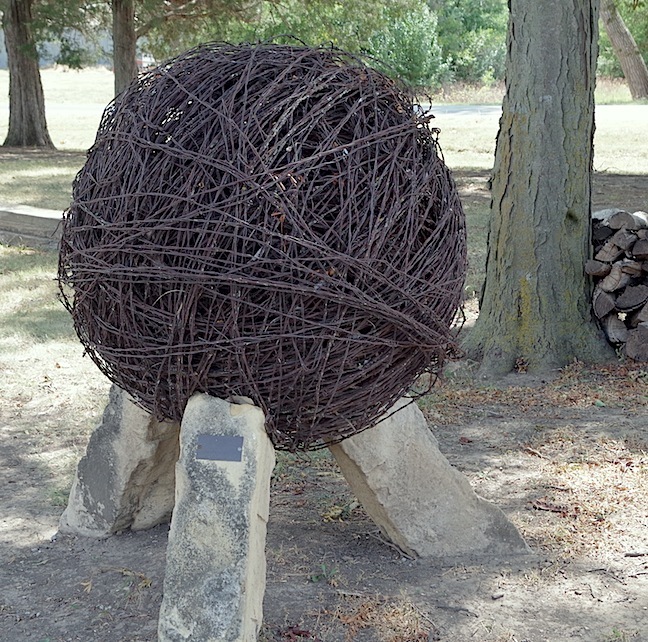 My first stop was at an old favorite: the Kansas Barbed Wire Museum in LaCrosse, Kansas. It was my third visit (I’m not making this up). There was a time years ago, before my late husband and I stumbled upon this place, when I no doubt thought barbed wire was barbed wire was barbed wire. Ha! Not a chance of it, and this little museum, which is always deserted, will set you straight. It has hundreds upon hundreds of variations of barbed wire, plus the tools needed to string and tighten it, plus all sorts of auxiliary items. 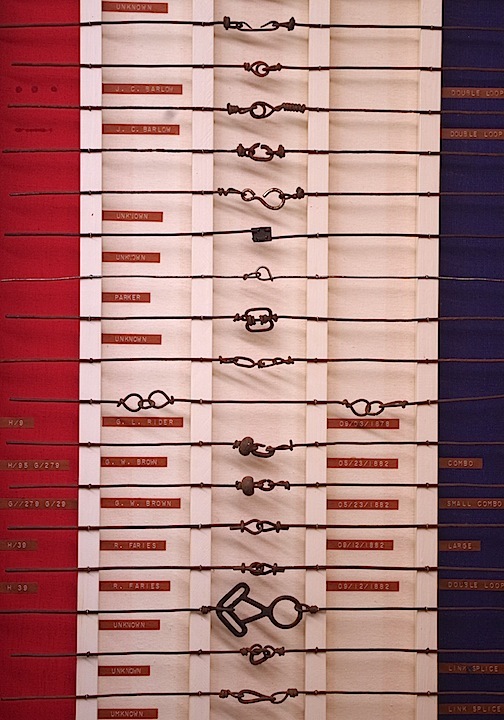 The director estimates that about 500 patents exist for different types of barbed wire. But each patent can cover hundreds of variations; the total is mind-boggling. One Glidden barbed wire patent covers some 2,400 variations, for example. Among my favorite exhibits at the museum are two barbed-wire tornadoes and a huge crow’s nest made of scraps of barbed wire. Before leaving, I asked the director where I might get a sandwich to eat. 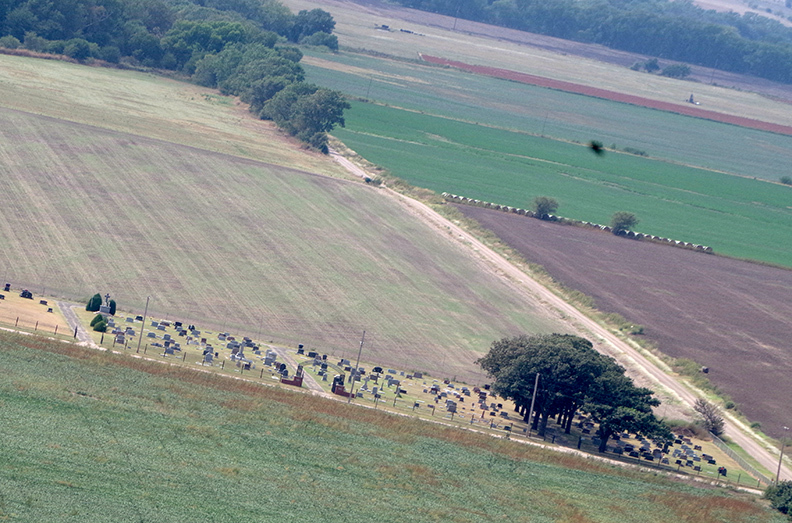 He suggested the Dairy Queen in Hoisington, about 15 miles to the east. It was an inspired choice, because if I hadn’t stopped at the DQ and idly picked up a brochure on the counter, I’d never have known that Hoisington was having a Labor Day festival and that one of the activities was helicopter rides, 40 bucks per passenger. While I ate my cheeseburger I mulled that over. I’d never flown in a helicopter before, or even been inside one. The prospect was scary, yet enticing. When would I get such a chance again? I could at least look. So when I was done at the DQ, I backtracked, drove through (or rather, around) Hoisington’s downtown, and found the helicopter site. The copter looked awfully small. The pilots said they couldn’t afford to take up just one passenger. Okay, I said, I’ll wait a couple of minutes and see if someone else shows up. Meanwhile I asked a bunch of stalling questions: Do I weigh too much to go? (Not even close; they could take a 300-pound passenger!) Wasn’t it too windy to fly? (No, helicopters love the wind!) I had fallen a couple of days ago and my left leg was hurting; would I be able to pull myself into the helicopter? (They’d help me!) I sat in my car, still ambivalent. Then a black SUV pulled up: father, mother, son, daughter. The son was first out, and it soon became clear that he and his dad were going up. The pilots waved me over, and I found myself plunking down two 20-dollar bills. I and the boy, who looked to be about 10, would be seated in the back, where there were windows. The pilot (a woman! yes!) and the dad would take the front seats, where there were no doors. “I’m scared,” the boy said matter-of-factly, without any visible sign of anxiety. “I guarantee you I’m more scared than you are,” I told him unwisely. “It’s bumpy,” he said (we hadn’t left the ground, but it did feel bumpy with the engines on). “Should we hold hands?” I said. “I’m going to hold on here,” he said, grabbing the bar between the back of the front seats. I did the same. And then we were up and off! We were all wearing headsets so that we could hear the pilot and each other. 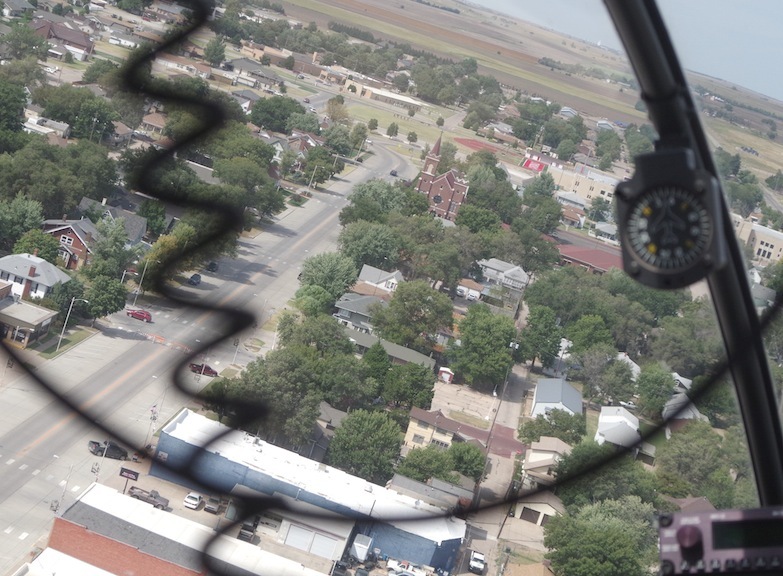 “This is awesome!” the kid yelled as we began to fly over Hoisington. I was with him one hundred percent. I believe I might even have added “Woo! !” I was taking pictures like crazy, and the kid and I kept announcing how fun it was. It was wonderful fun. It was even fun when the helicopter banked significantly, though I was grateful I had a window next to me and not an open door. The ride, which lasted only four minutes or so, was far too short. I wanted to keep flying. Heck, I was ready to take lessons. But Lawrence awaited. I waved goodbye to the family, who were in fact from Hoisington, and headed down the road to Lindsborg. This Scandinavian town was new to me. I got there at 5 p.m., so most places were closed except for an exceptional fair-trade shop called Connected. 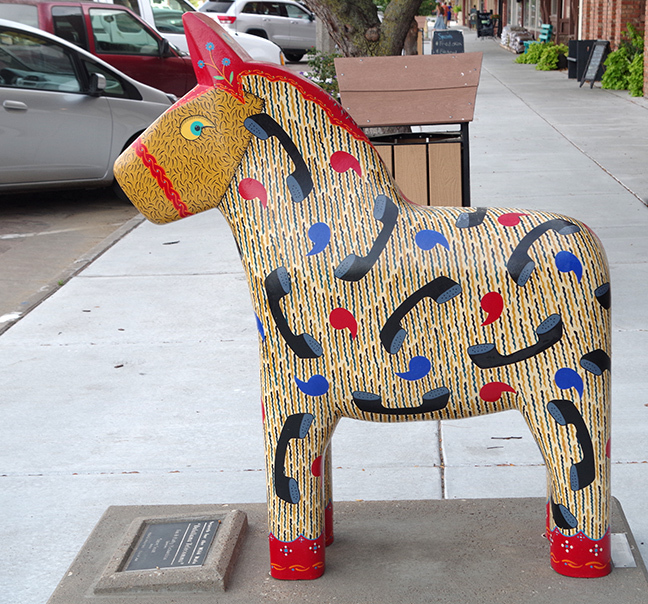 But Lindsborg hosts a sidewalk herd of painted dala horses. Wikipedia: “A Dalecarlian horse or Dala horse is a traditional carved, painted wooden horse statuette originating in the Swedish province of Dalarna. In the old days the Dala horse was mostly used as a toy for children; in modern times it has become a symbol of Dalarna, as well as Sweden in general. Several different types of Dala horses are made, with distinguishing features common to the locality of the site where they are produced.” In Lindsborg, the paintings on the horses may reflect the business where a given horse is located, or the interests of the sponsors or artist. 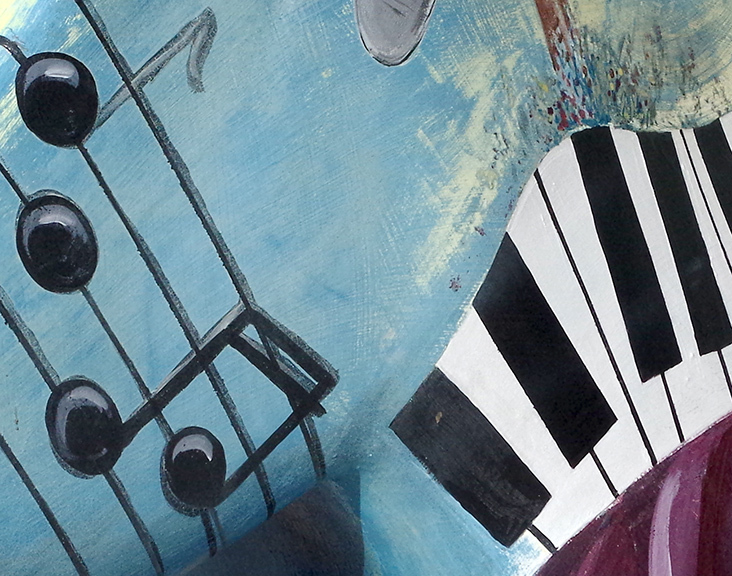 One thing I noted is that the dala horses, which are chunky creatures, have no tails. 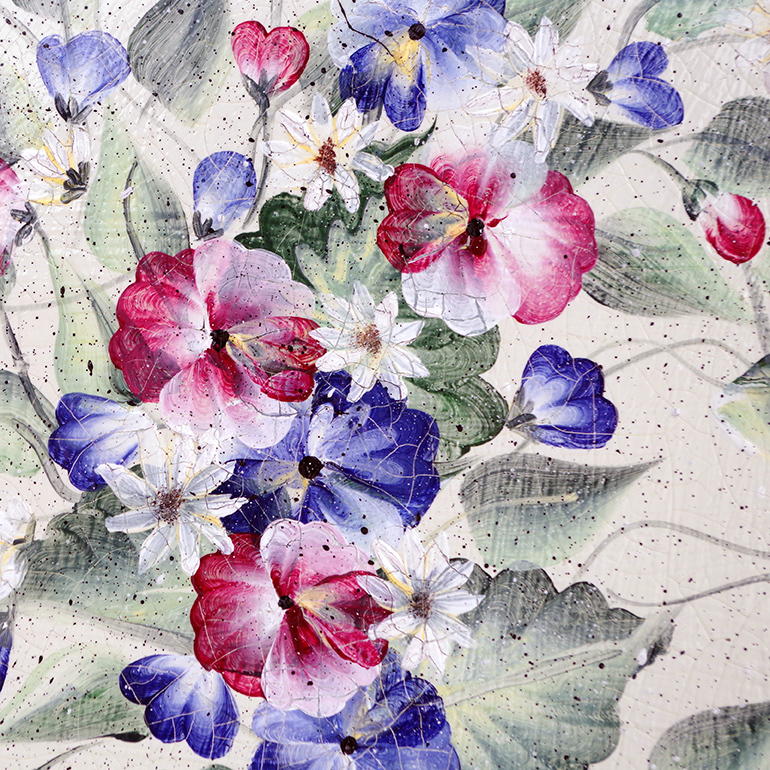 I enjoyed photographing details of the paintings. And then, as I was leaving the vicinity of Lindsborg, serendipity struck. I finally found what I’d been looking for all over Kansas and eastern Colorado: sunflowers! 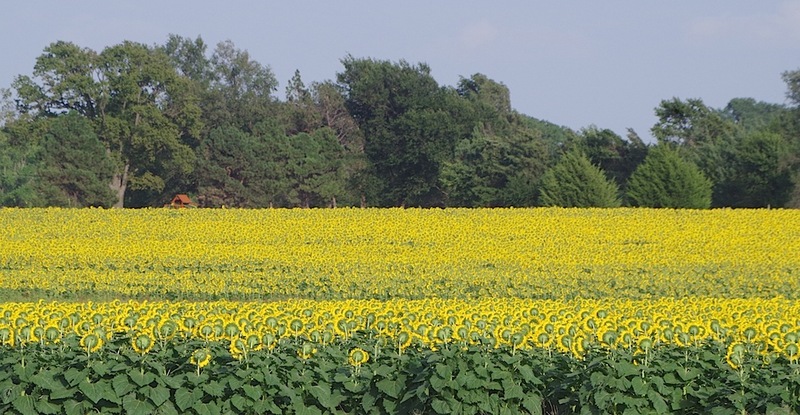 A whole big field of sunflowers with their heads still up (though, oddly, not facing the sun but facing east). I did what I could with my Pentax and my not-so-long lens, trying to get the best photo I could for me and my sunflower-loving friend Dinah. At Salina I rejoined I-70. The rest of the drive to Lawrence was tedious, but it seemed to me that, all in all, I’d had the best possible day on the Plains.